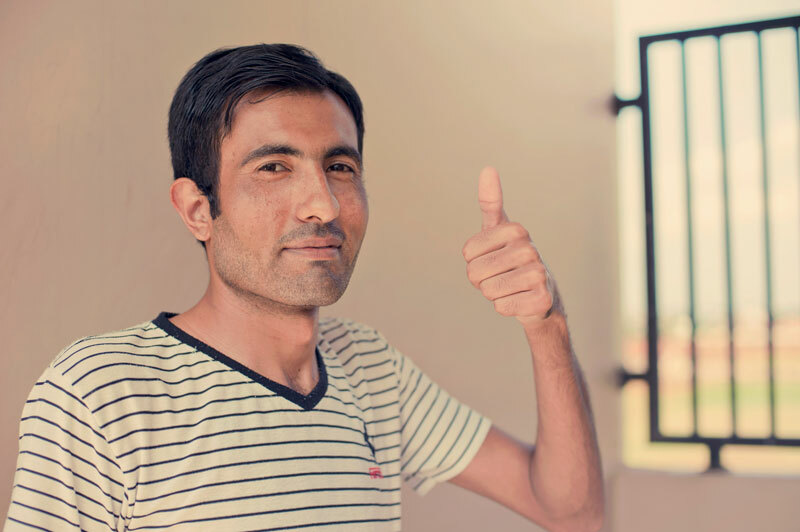 A 22-year-old Pakistani national from a family of means, MH was forced to leave his country after being robbed and threatened by a local armed group where he lived. “I paid an agent US$10,000 to get me out of the country through Dubai and Malaysia to Indonesia. I’m now living in IOM’s community accommodation while I wait for resettlement. We live very close to each other here just like in Pakistan so I think I caught TB from someone here. I was short of breath, feverish and coughing for three weeks. The IOM medical officer brought me to the hospital (February 2016) for an X-ray, blood test, and sputum test and that’s when I learned I had pulmonary TB. I’d never even heard of Tuberculosis before but after being diagnosed I read a lot about it on the internet and was provided with more information by the IOM medical officer. I understand now that it is infectious and spread to others when one coughs. I also learned that once I’d tested positive I had to take the four medications for at least six months, and how important it is to eat proper foods. I need to eat more carbs and protein such as egg, fish, meat, chicken, and also vegetables and fruits. After starting the treatment, my condition improved significantly. It is tough; I really feel alone because I didn’t feel like I can talk to anybody about the condition. Some of my friends who know are scared to be near me. I’m trying to minimize talking and coughing when people were around so nobody else gets sick. I just hope that I can continue my medication and finish the treatment so I can get well soon. For all who hear to my story, if you have a cough for a long time, sweating and a fever, you should really go and check with the doctor to prevent the spread of TB."